Astra Giurgiu's Kehinde Fatai and Seidu Yahaya have arrived in Scotland for their Europa League tie at Celtic after visa problems delayed their departure. The Romanian champions' flight to Glasgow arrived three hours late on Tuesday amid reports of problems over the payment for their flight. 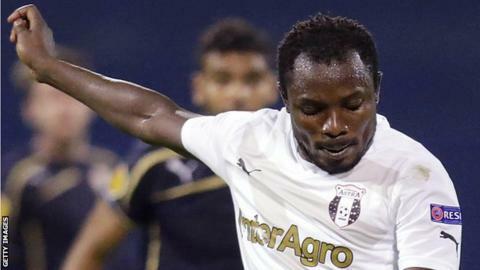 But paperwork problems over Nigerian striker Fatai and Ghanaian midfielder Yahaya, both 24, were resolved. And the pair arrived later on a separate flight to Scotland. Astra are due to play at Celtic Park on Thursday in their third Europa League Group D game. Celtic lead the group on four points along with Red Bull Salzburg, with Astra bottom after two defeats.